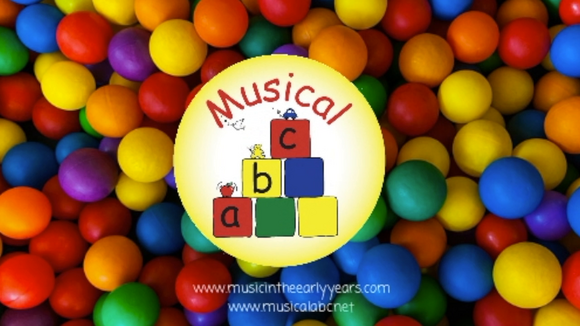 Can I Lead an Early Years Music Time? 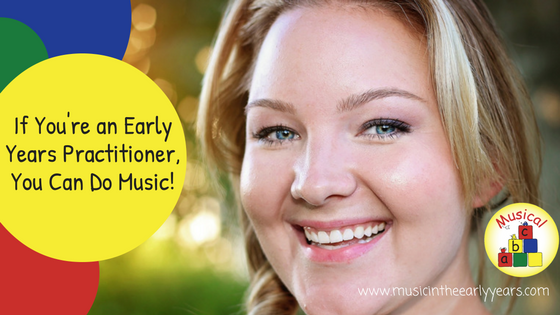 Yes, everyone who works in the early years can lead an enjoyable and worthwhile music experience. You just need self-belief and some time to develop your knowledge and skills. Is my voice good enough? 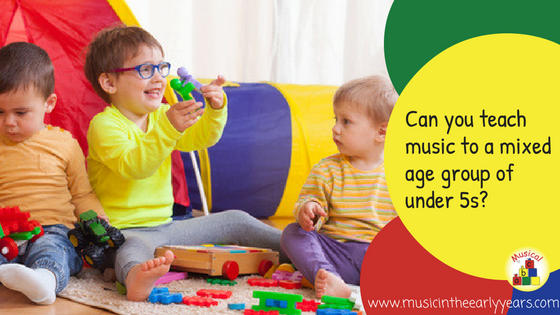 Can you teach music to a mixed age group of U5s? Yes, music can be enjoyed by children of all ages. 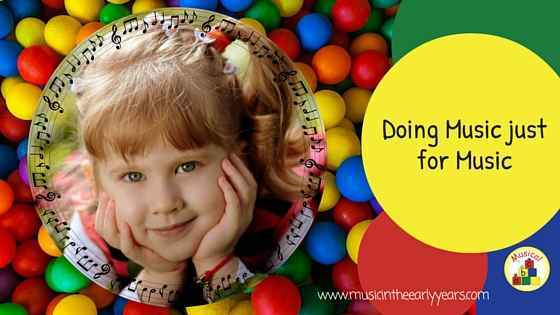 You may wonder how those children who are sitting still are benefitting like those who are singing and moving to the music. 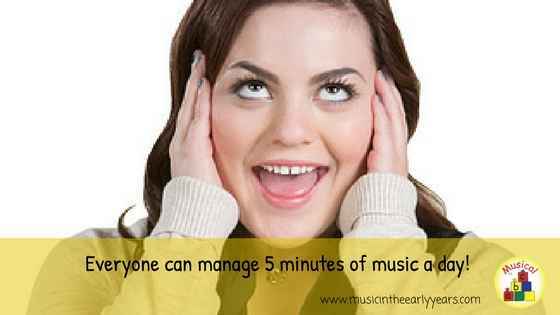 Please read on to find out how music can benefit all during a music time. 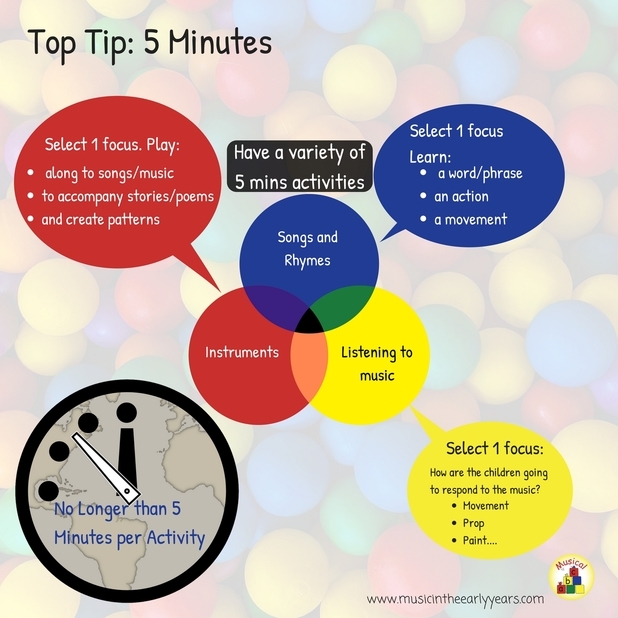 If You're an Early Years Practitioner, You Can Do Music! Do you doubt your own abilities? 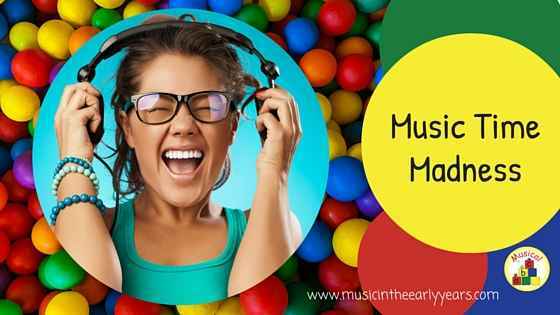 Do you think that really good music times can only be delivered by a musician within the early years? Well, I’m here to tell you, you are wrong. 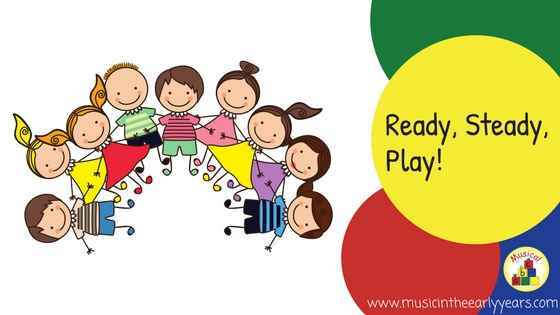 We can all give children a quality music time. How? By gaining the skills, knowledge and confidence to deliver it ourselves. 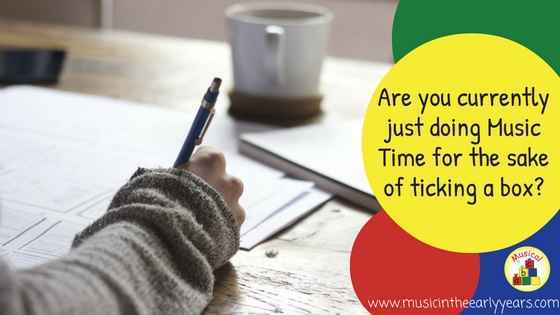 Are you currently just doing Music Time for the sake of ticking a box? 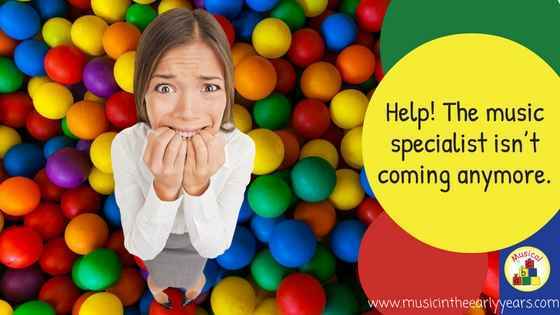 Does the thought of Music Time make you feel scared, worried, frustrated…? Maybe you sing a few songs with the children or try to avoid doing it altogether as you just don’t know what you should be doing. It just feels like a box ticking exercise, not an enjoyable experience. So, take a step back and think why are you thinking this? Help! The music specialist isn’t coming anymore. 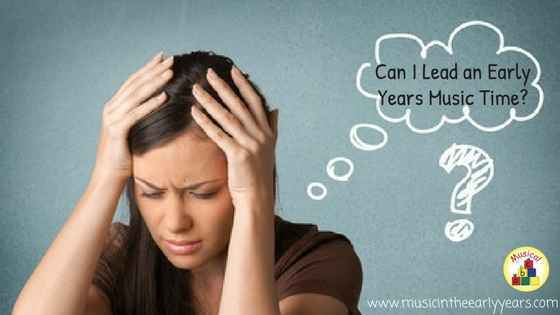 What do you do when you find out you no longer have outside music help or maybe you have decided that you can no longer afford this help? It was the children’s highlight of the week and you even you looked forward to it every week. Panic? ... Stop doing it? .... Reach for a CD? STOP! Think, what was it that made it the highlight? they got their hands on real instruments every week? they interacted with lots of different props? Doing music just for music! I’m going to be honest with you, not every Music Time I teach goes to plan. I run classes for parent /carers and children and classes for nurseries/preschools.